This week’s macro is an Atom Moore shot featuring the details on a Voutilainen dial. 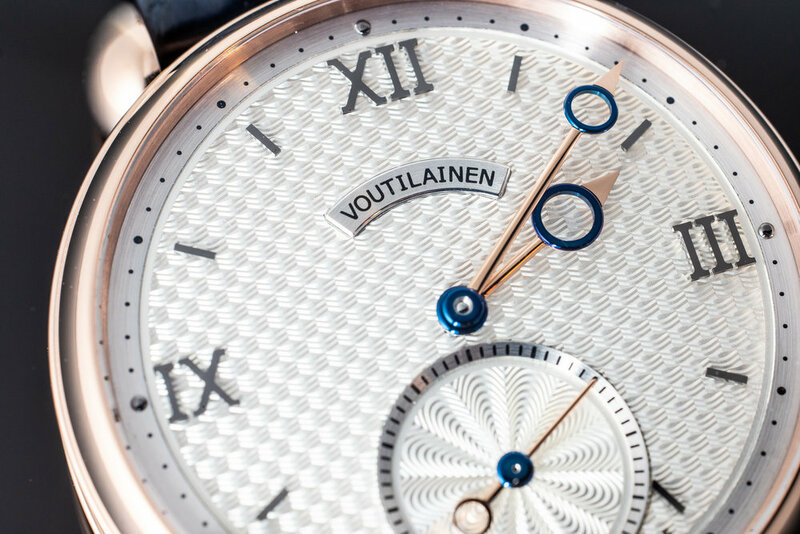 Award winning Finish watchmaker Kari Voutilainen has given his passion and expertise to developing Voutilainen for the last fifteen years. After completing watchmaking school in Finland, he furthered his studies in Switzerland then went on to teach. Seeing these masterful pieces, one doesn’t doubt that Kari has a “natural gift for perfection.” A mix of the best tech and a carefully crafted classic aesthetic, Voutilainen’s signature isn’t just a style. It’s a level of quality.